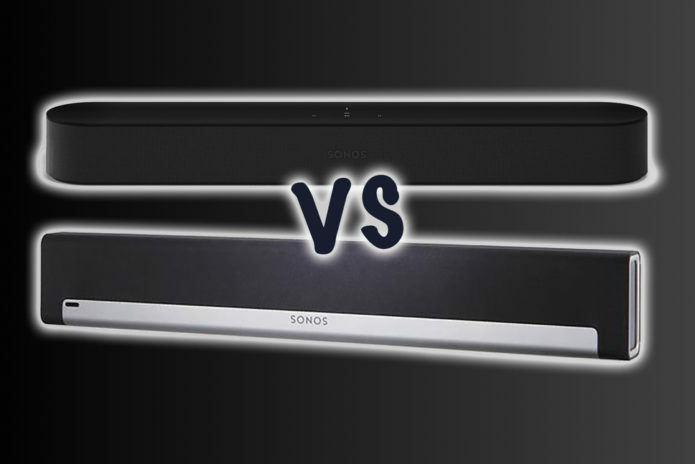 Sonos Beam vs Sonos Playbar: What’s the difference? Sonos announced a new smart speaker, the Sonos Beam. The new device is half the price of existing Playbar, it’s previously offering for boosting your TV’s sound. What are the other differences between the two TV sound-enhancing Sonos speakers, though? Here is how Beam compares to Playbar, to help you work out which is best for you. 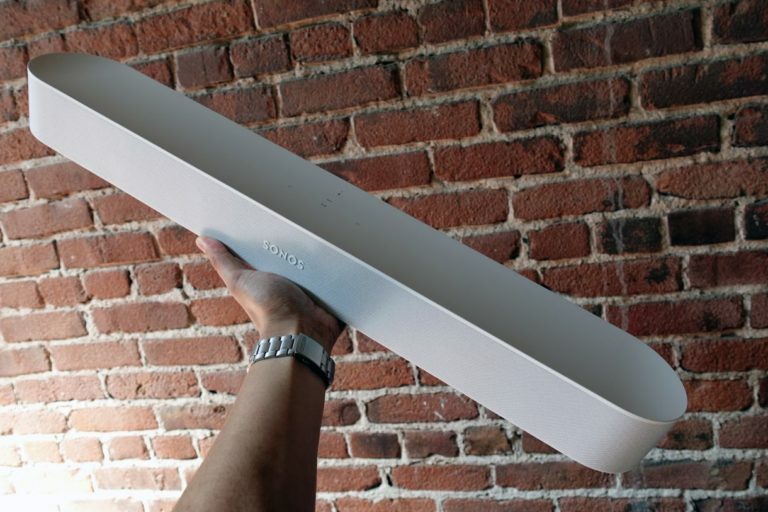 Sonos Beam measures 651mm wide, 65mm deep, and 100mm high and weighs 2.8kg. It’s meant to be placed on your TV stand, or if you purchase the wall mount accessory, you can securely hang it. Its design is a little more refined, which is to be expected. It is available in black or white colours, and it features capacitive touch controls on the top panel with LEDs to indicate status. It comes with an HDMI cable to connect to your TV’s HDMI ARC (audio return channel). If your TV does not have HDMI ARC, you can connect using the included optical cable instead. It also has one 10/100Mbps Ethernet port for wiring directly to your router, if needed, in addition to Wi-Fi. 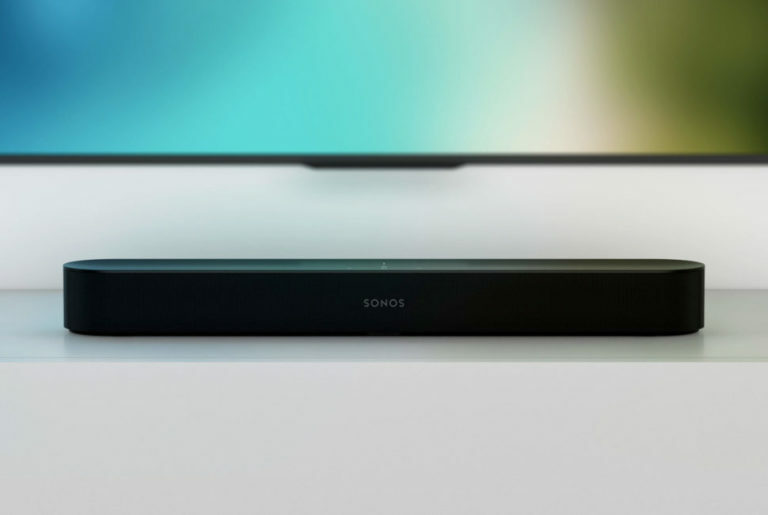 Sonos Playbar on the other hand, measures 900mm wide, 85mm deep, and 140mm high, and it’s roughly twice as heavy as Sonos Beam at 5.4kg, so it’s bigger in all directions. Given it is several years older, it looks a bit dated. It is available in a combination of black and dark silver only, and it features physical controls on the side. On the rear in the centre there are two Ethernet ports, optical audio, and a power supply port. The addition of HDMI gives the Beam a lot more control options and gives it a distinct advantage over the older Playbar, as we’ll talk about in the features section below. We also think the design of the Beam is a lot more attractive, the smaller footprint making it much easier to accommodate in your home. Sonos Beam has an eight-driver speaker system made up of four full-range woofers, one tweeter, and three passive radiators. It also has five Class-D digital amplifiers, adjustable bass and treble controls, and five far-field microphone array with advanced beamforming. Sonos Playbar has no mics, but it does have a a nine-driver speaker system made up of six mid-woofers and three tweeters. There are also nine Class-D digital amplifiers, which are tuned to match the speaker drivers. We can’t wait to give a listen to Beam to see how it compares – but it is more compact, so there’s every chance that the Playbar still offers the bigger sound experience. 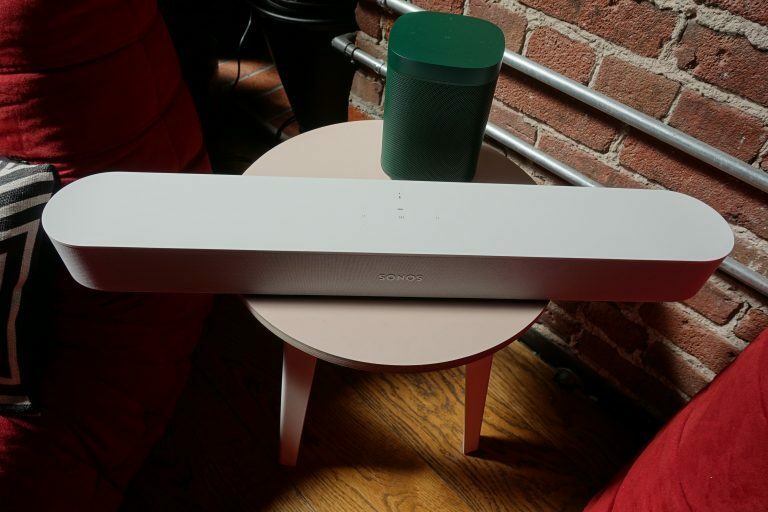 Sonos Beam is the more modern of the two, and as such, it has built-in Amazon Alexa voice control, so it’s fully connected to your streaming music and smarthome devices. You can play movies and shows on your TV with the latest Alexa-enabled video streaming devices such as Fire TV. It’s also Apple AirPlay 2 compatible, meaning you can use it with Siri voice controls and all your iOS devices. Playbar does have voice control, but it needs a separate Alexa device, such as an Amazon Echo or Sonos One to control it – so it’s not an integrated experience. Other than that, Sonos Beam and Sonos Playbar offer the same features. They both run on Sonos platform, for instance, which means they can access to over 60 streaming services, and they can both be grouped with existing Sonos speakers. This means they can either act as another multi-room speaker streaming music, or they can deliver the sound from your TV to other Sonos speakers around the house. Both speakers can also be combined with a Sonos Sub and two of the same Sonos speakers, such as two Sonos One, Play:1, Play:3 or Play:5 speakers for a 5:1 surround sound setup. They also both offer Dialogue Enhancement, which enhances vocal clarity, and Night Mode, which tones down bass during loud action scenes, and they can both be controlled with a TV remote control rather than just Sonos app. 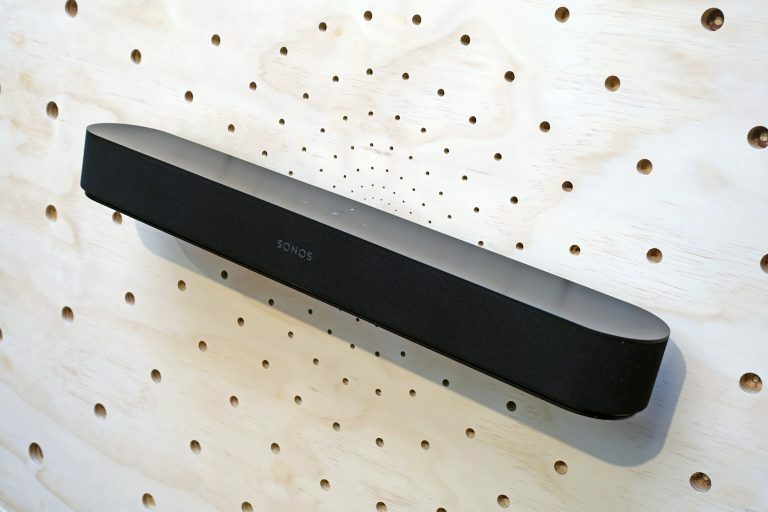 Sonos Beam and Playbar are compatible with Sonos Trueplay meaning you can tune them specifically for the room they are in. Sonos Beam costs $399/£399 without the wall-mounting kit, while Sonos PlayBar costs $699/£699, again, with no wall-mounting kit. It’s pretty hard to get beyond this price difference and we suspect that many will look at that £399 price and find it a much easier commitment than the Playbar. Sonos Beam and Playbar are both two-in-one speakers, streaming music while also offering cinema sound to your TV. They can sit flat below the TV too, but they can also be wall-mounted to sit underneath a wall-hung TV. They also both offer similar features and functions, though Beam is more advanced, as it has built-in Alexa for voice control and it connects to your TV via HDMI, unlocking the potential for much more control. Like the Sonos One, Sonos Beam will support Amazon’s Alexa out of the box, Google Assistant in the coming months, and Apple’s Siri thanks to AirPlay 2 support from Apple. It’s also half the cost of Sonos Playbar, which doesn’t have quite as striking a design as Beam. 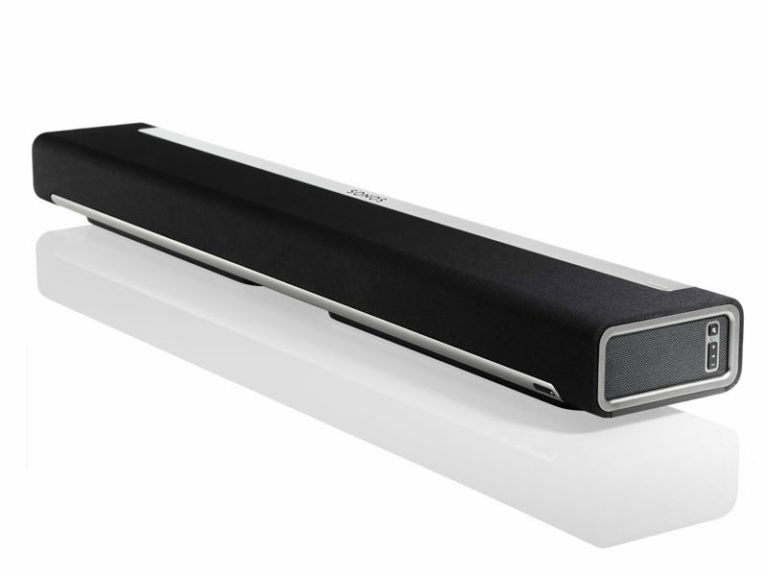 If sound is what you’re really after, on paper, Playbar does seem to have a slightly more superior speaker system, but the smart choice (pun intended), it going to be the Beam. We will, of course, be testing both in the home environment to see how they really compare in real world use, as soon as we can.